St. Finan, the patron saint of Kinnity, founded an abbey at Kinnity in the year 557A.D. Where the Church of Ireland stands today. He died on the 7th April, the year being uncertain. St Finan was born in Kerry, a native of Coirce Dhuibhne on the Dingle Peninsula. 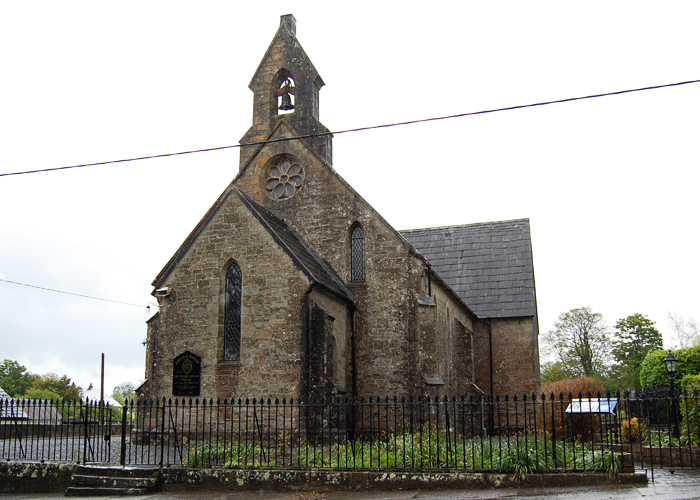 He went to school to St. Senan of Inis Caltra on the Shannon and after some years he went to St. Brendan of Clonfert. He spent six years there where he was apprenticed as a baker. This church was built on the ruins of a Catholic monastery in 1847 with the first stone being laid by Capt. Bernard and was recorded in the King’s County Chronicle. Old Kinnity village was just above the church and the new village was planned at this time. The slates for the church came from the quarries at Cumber overlooking Knocknaman. Church of Ireland, Kinnity. Site of St. Finan Cam’s Abbey. 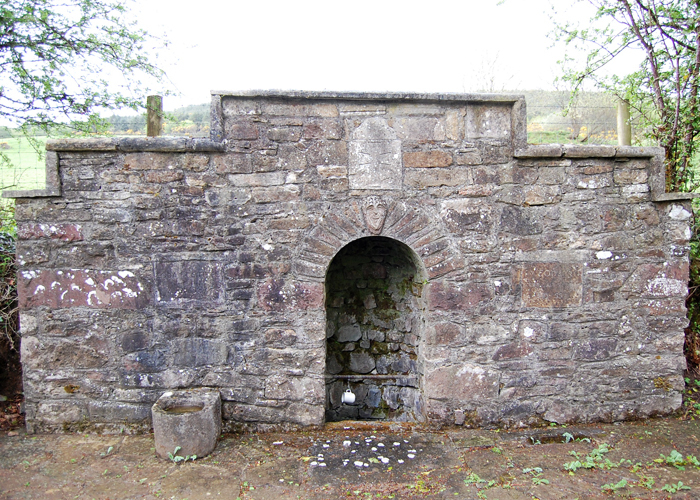 St. Finan’s well is situated one mile south of Kinnity in the townland of Cumber. It was restored in 1988. Local families, when passing the well, would always get down from their horse and cart, take a drink of water, bless themselves and then continue on their way.